The solution to Run Command Dialog in all Windows OS is via keyboard shortcut Windows-Logo + R! This works in all Windows Operating Systems, not only on Windows-10! ... Run Dialog in Windows 8! ... run Computer Management in Windows 8.1/8! ... Run-Command: Alternative to standard Windows Run-Dialog! (Image-1) Run Command Dialog in all Windows OS! System-General - FAQ-14: Run Command Dialog in all Windows OS (10, 8.1, Seven)? The solution is simple to connect to a Remote Registry in Regedit, the how to is for Windows 10, Windows 8.1 plus seven. And also for Server 2012 & 2016. 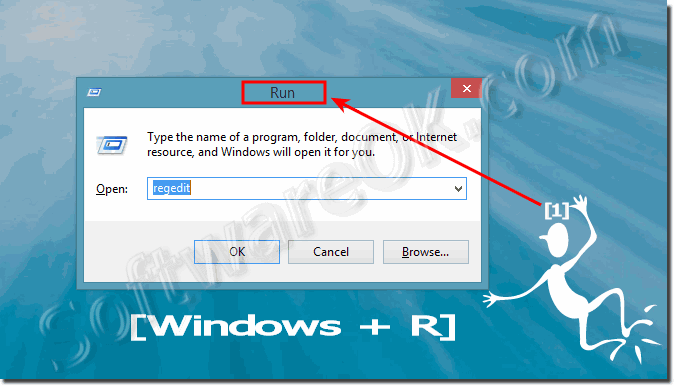 Start Run Command Dialog in Windows via keyboard shortcut? Keyboard shortcut to Execute commands on Windows? A keyboard shortcut combination of keyboard keys you press to run a command or program? Run Command Information, It is accessible in one of shortcut combination of keyboard keys? Even if you use the Windows Command Prompt a lot, you might be surprised at run it whit useful keyboard shortcuts, it supports? All Windows has a great feature built in for start via keyboard shortcut that will launch anything from RUN-Dialog?